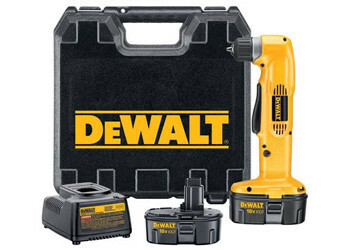 Dewalt Heavy-Duty 3/8 in. (10mm) 18V Cordless Right Angle Drill/Driver Kit. 2 speed ranges 0-500/0-1,500 rpm for increased user flexibility providing a wide range of applications. 310 in-lbs of maximum torque for heavy-duty applications such as turning large bits and fasteners.